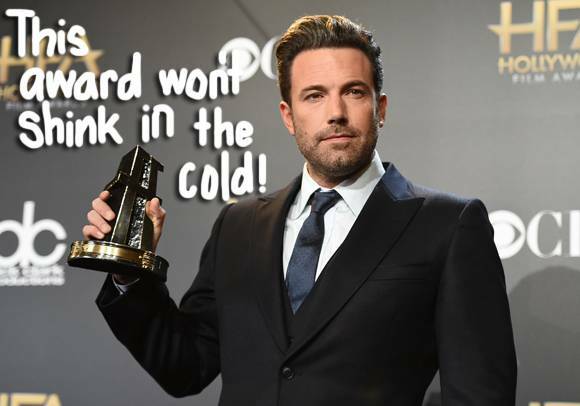 Ben Affleck Makes Full Frontal Jokes In Front Of A Full House At The Hollywood Film Awards! Now that everyone has had a chance to see Ben Affleck‘s, erm, equipment in Gone Girl, he's happy to joke about it! And not to make it awkward or anything, but his ex Jennifer Lopez was sitting right there in the crowd! Then again, he wasn't saying anything she probably didn't already know! Ha!